The perfect connector for your micro/mini applications where space and weight are important. 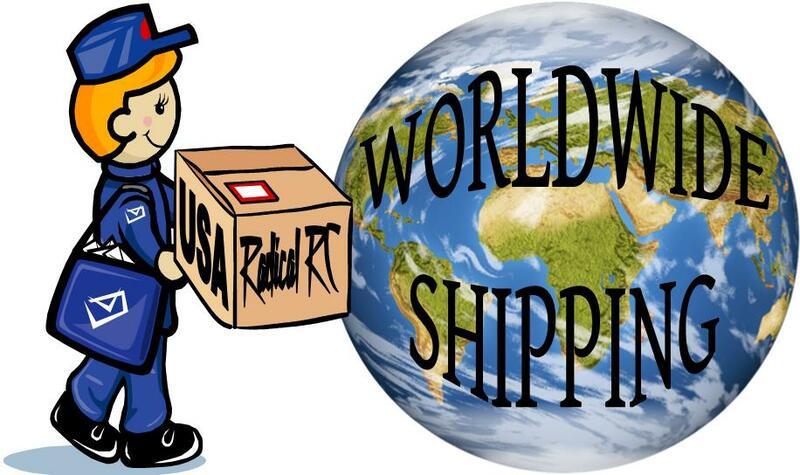 Our Micro Ball Link comes complete with a perfect snap fitting nylon socket and an 0-80 retaining nut. 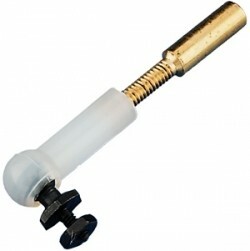 Also includes a threaded coupler which can be soldered or glued with CA. The coupler comes in two different sizes for .032" and .047" wire. 2/pkg. 2mm Swivel Ball Links. 2 complete units with all hardware as shown in photo item "A". Threads onto 4-40 rod, bolt passing through ball is 2-56. 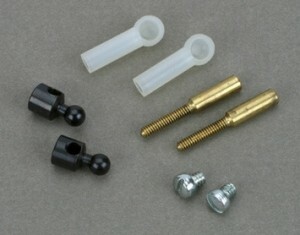 1 unit per package including bolt and nut. Use with 2-56 pushrod ends. Provided with 2-56 through socket heads, nuts, mounting bolts and spacers to secure to servo or control surface horn. 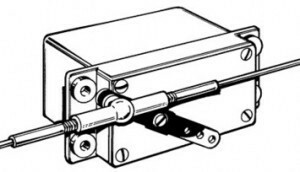 Change old strip aileron connectors to ball link control. Fitting also useful as dual take off connectors. 8 piece set includes: (2) horn wire ball links for 3/32" diameter wire, (2) self threading nylon socket, (2) threaded couplers 3/4" long with 3/8" 2-56 thread for up to .072 wire and (2) 4-40 screws. 5 piece set includes one 2-way self threading nylon socket, 2 threaded couplers 3/4" long with 3/8" 2-56 thread, for up to .072 wire, 1 ball threaded for 0-80 (1/16 diameter thread) and one 0-80 hex nut. Du-Bro Swivel Ball Links. For 2-56 pushrods. Includes 2-56 through bolt hardware. 2 complete units per package. Item "A" in photo. Ball Link for 4-40 rods, 2 complete assemblies with hardware. Heavy duty ball links. Use on 4-40 pushrods, hole in ball for 4-40 bolt. 2 each in package. Item is second in from left in our sample photo. For 4-40 threaded rod, hole in ball for 4-40 bolt. Ball Link for 4-40 rods, 12 complete assemblies with hardware. Smooth friction free operation with unsurpassed durability. Complete with 4-40 socket head screws, Nylock nuts and spacers. These high quality ball links feature burnished brass swivel balls for smooth operation. Complete with socket head cap screw, brass shim and hex nut. 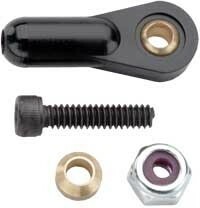 For 2mm pushrod and 2mm through bolt to servo arm or horn.